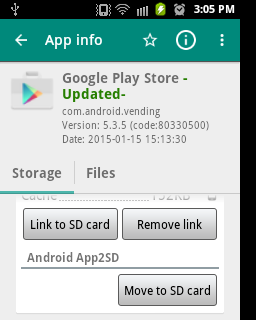 The Android OS versions 4.2 and earlier were based on the Discretionary Access Control (DAC) with Sandboxing model. I will explain here how the security was designed with this initial approach and shortcomings associate with DAC. The Android kernel is a modified version of Linux Kernel in order to adopt the specific requirements of a mobile device. 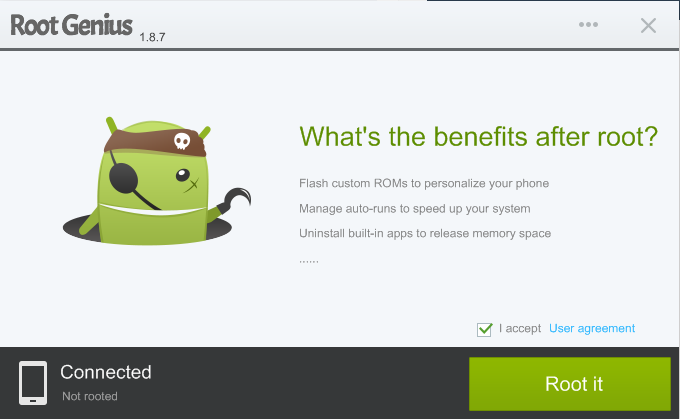 The multi-user system used in desktop Linux is adopted to Android as each application as a unique user. 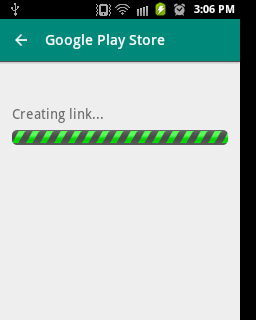 Thus the user based isolation is followed as application based isolation with Android . Consequently, each application has got a unique UserID (UID). With the isolation, each application is run within its own Dalivk VM and within its own process. By default, an application process runs within this sandbox can only access its own private data. Thus inter-application communication is not allowed by default. However, applications may required to access other system resources. For instance GPS, Network, Bluetooth, Contacts, etc. In order to access these resources application will have to go through the permission model. The owner of the system resources is the device user. According to the Discretionary Access Control (DAC), the owner of the resource controls access permissions related to it. 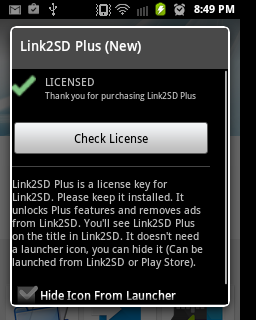 Thus, a permission request list will be prompted at the installation time of the application for the user or the device owner to accept it or denied. Once the application granted the permissions they can have access to particular set of system resources. -read, write private files of any app. 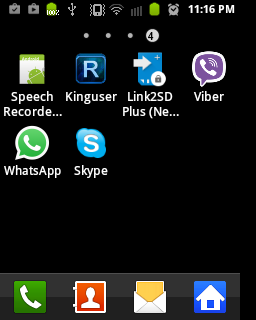 -Remove core system apps etc. In the next post I will explain how the Security Enhanced Linux was adopted to Android to further improve the security of the OS. Hi ! 🙂 Getting memory full error is a common problem on low end internal storage devices. 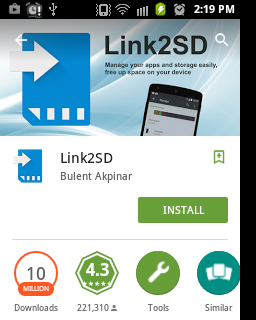 This guide explains a way to increase your internal storage using Link2SD app. 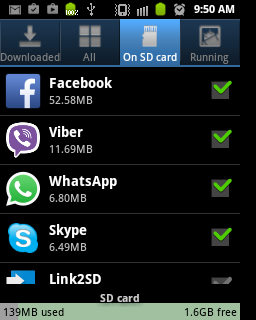 I have used galaxy GT-S5570 device with internal memory only 160MB. 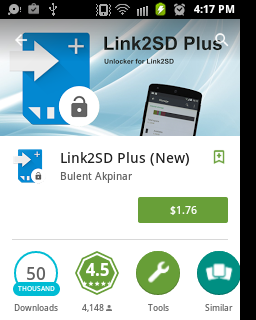 Download and install “Link2SD” application from Google play store. 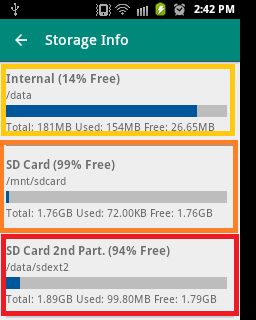 I guess you have partitioned your micro SD card by now according to the guide, so select the second partition as type “ext2” file system. 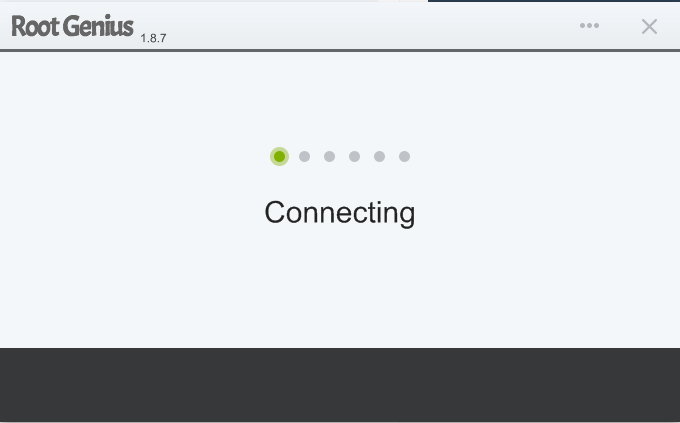 You can see 3 partitions shown. 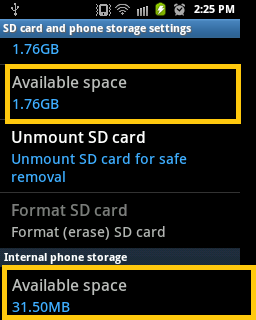 Internal storage and the 2 partitions on the external SD card. 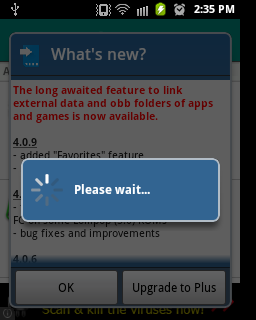 Step 5: Problem still persist? 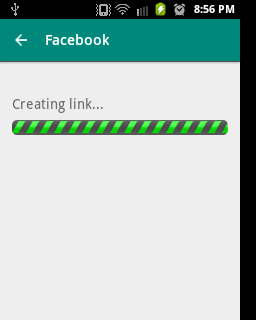 Try installing an application like Facebook. 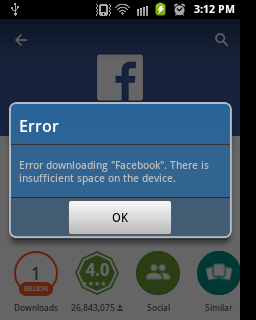 It will say insufficient storage on device. 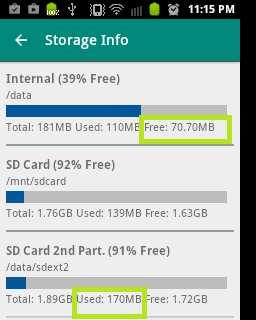 You can transfer already installed apps to the external SD card (except system apps) following Step 6 and free some space on the device. 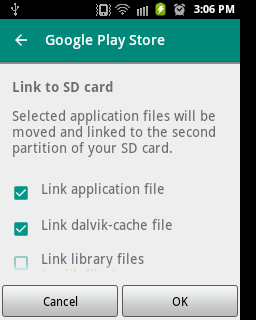 Select an application from “Link2SD” –> Click “Link to SD card” –> tick the link options. This will successfully create link to second partition of the external SD card (ext2). 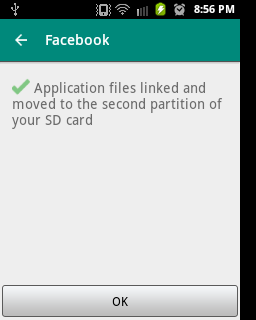 You will be able to move internal data to the external SD card. 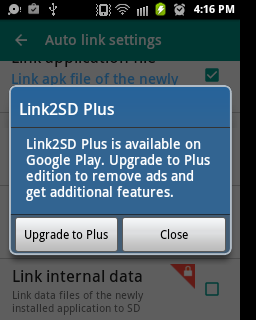 Select the app from the Link2SD Plus and –> Select “Link to SD” –>check “Link internal data” the newly unlocked feature. 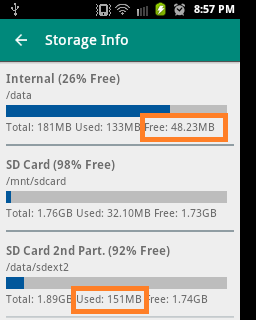 This will free up more internal storage on your device. Now you are capable of installing many apps by linking applications, cache files and internal data to 2nd partition of external SD card on galaxy GT-S5570 . Hi ! 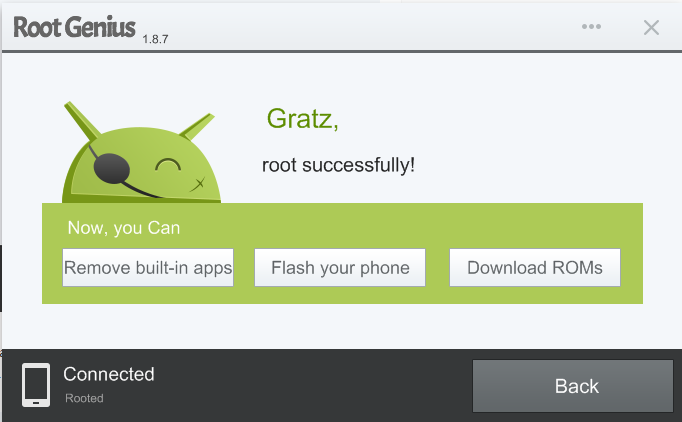 🙂 You can simply root your device using the “Root Genius” tool. Follow up the steps below to get your device rooted. Run the RootGenius_1.8.7.exe setup. 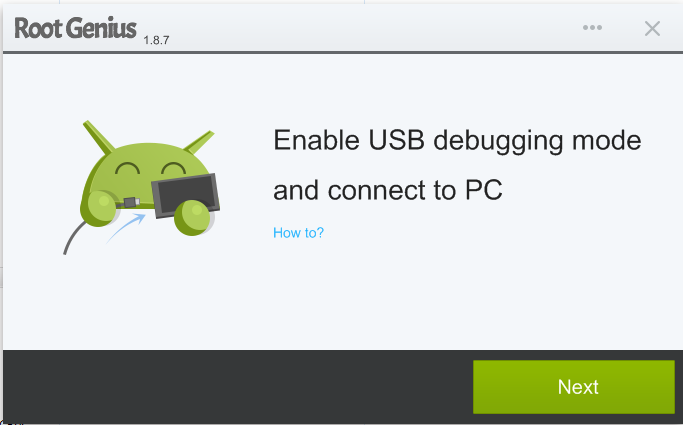 It will ask to plug your device in debug mode to your PC. Follow up the screens of RootGenius application. It will automatically detect your device and guide you to screen with a “Root it” option. Press the button “Root it”. This will take few minutes to root your phone. 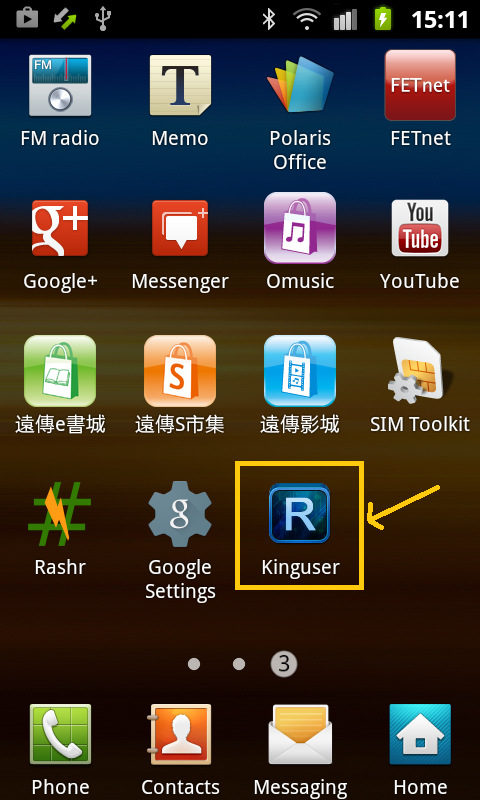 Once the device is rooted with “RootGenius” you will see an app called “King user” is installed on your phone. 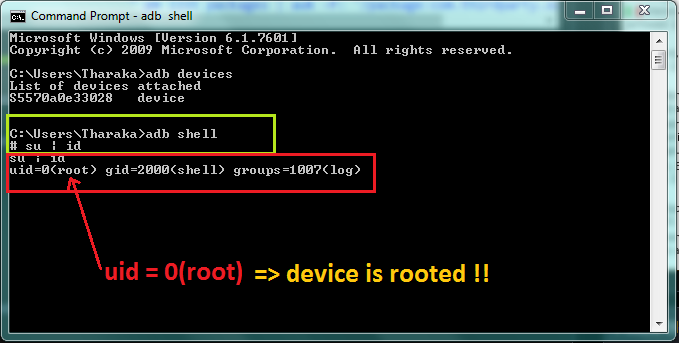 Now execute some commands on “adb shell” to further ensure the device is rooted.